Demand for the Internet of Things technology is on the rise. A growing number of businesses are taking advantage of the numerous benefits IoT offers, especially in the Industrial sector (IIoT). Many IoT and IIoT adopters see substantial financial returns on their investment from the operational optimization that they can provide. Hyper-connected technology is changing the way businesses connect with their customers, and as the industry continues to grow Statista predicts that the number of connected IoT devices worldwide will reach 31 billion by 2020. However, the implementation of these technologies is not a one-size-fits-all, straightforward process. Businesses can face challenges and setbacks if they do not properly plan and execute their deployment. To get the most out of IoT and IIoT technologies, it is vitally important to choose the right technical partner, one who understands your business’s needs and can guide you through the process to maximize results. Strategic planning with Internet of Things experts ensures that the final result and system capabilities match the business’ needs and goals. A thorough planning process can clear up any misunderstandings between your company and your technical partner, eliminating the possibility of discrepancies between expectations and results. Your deployment partner should work with you to establish metrics, evaluate business operations and processes, determine uses and expectations, and choose the appropriate technology. The in-depth strategic planning should occur before installing any new software or devices, and you should never rely solely on in-house staff and IT generalists to deploy IoT. A partnership with proven IoT or IIoT experts is necessary to ensure that implementation is successful. IoT and IIoT system deployments take time and should never be rushed. The entire process should consist of multiple rounds of implementations, and the first stage should focus primarily on sandbox technology, pilots, proof of concept, and precise use cases. Business stakeholders and employees from various departments should be included in this process, as implementation should not be done with only IT personnel. Meticulous, carefully planned implementation minimizes the risk of failure and ensures a working, effective system. You will likely make mistakes, and there might be complications that arise, but a multistage deployment gives you time to learn and make any changes that are necessary to achieve positive results. A successful IoT or IIoT system requires a single network management platform, automated network management tools, and real-time monitoring. Traditional IT technology will not sufficiently meet Internet of Things network demands, and if forced to operate over an inadequate network, your new system cannot reach its maximum potential. A single network management platform will provide more in-depth analyses of network status and endpoint behaviors, while automated network management tools ensure adequate, consistent system connectivity. Real-time network monitoring and management will determine effectiveness and help achieve peak performance. Security is vital, as these hyper-connected devices are vulnerable to hacking, malware, and other potential security breaches. Security compromises can lead to financial and legal complications, and they will likely impact brand reputation and the customer experience. Network security – Two-factor identification (2FA) and strong passwords that protect against brute force entry and guessing can thwart unauthorized access. Context-aware authentication provides another level of security by utilizing machine learning algorithms and contextual information to consistently measure risk and vulnerability. Device security – Security capacity is a critical component of IoT devices. Always evaluate an IoT device’s defenses before purchase and installation. The technology must be tamper-proof, with multiple layers of security to shield it from attacks. Data security – Data should be protected at every point in the IoT system. From collection point, to analysis, to end storage, personal information and other sensitive data must be kept safe and secure. An effective security system should be capable of automatically detecting new endpoints and verifying their legitimacy and permissions before allowing access to data. Sufficiently protected IoT systems will be able to perform real-time risk analyses and stop potential security breaches before sensitive data is obtained. 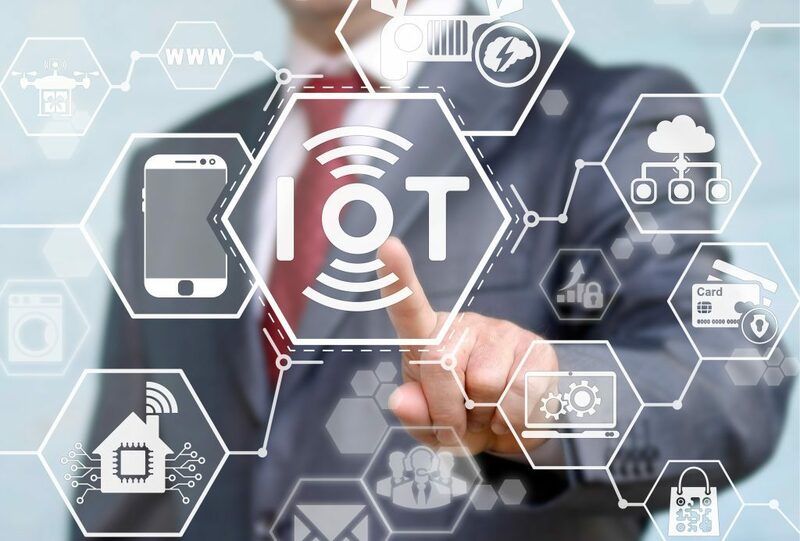 An Internet of Things system cannot reach optimal performance without adequate infrastructure, and legacy IT equipment will not meet IoT’s network and connectivity demands. You may need to modernize your technology and invest in infrastructure updates to ensure that your system is capable of handling a constant data flow. A secure, reliable infrastructure is essential if you want your system to be able to perform the analytics necessary for precise measurements and use case deployments. What is your experience with IoT project design and deployment? A good partner will be able to provide case studies of successful implementation for companies with needs similar to your own. Do you have experience implementing IoT in our industry? Your partner should have experience working with other organizations in your sector and be aware of the challenges within your industry. Have you successfully worked with internal teams? Effective deployment requires input and cooperation from multiple departments. Your IoT partner should be capable of effectively coordinating with your in-house teams. What practices do you adhere to in order to streamline IoT deployment? The right partner will follow proven operational standards, maintain consistent communication, and be available when problems arise. Internet of Things adoption continues to grow, as more and more companies take strides to remain competitive and meet their customers’ changing needs and expectations. A solid IoT system can maximize your operational efficiency, elevate your business, and provide a significant return on investment. However, thorough planning and effective implementation are vital for positive results. You need a proven IoT deployment partner who will work with you to ensure that your system can achieve optimal efficiency and meet your company’s needs. When searching for the right business partner, consider CB Technologies. CB Technologies is a valuable asset to organizations as a leader in the IIoT industry. For more information on deploying IoT in your organization, please contact us.